Embry-Riddle Aeronautical University (ERAU) participated in the Pointwise Teaching Partnership during the 2010-11 academic year to facilitate education of mechanical and aerospace engineering undergraduate students in the science and art of grid generation for modern computational fluid dynamics (CFD). As a part of the course ME 409, Vehicle Aerodynamics, students are taught to utilize Pointwise to create multi-element unstructured grids in order to complete CFD projects. More than 40 undergraduate students gained proficiency in grid generation with Pointwise at ERAU during the last academic year. The CFD projects in ME409 require generation of external 3-D grids for automobiles using a hybrid-unstructured grid approach. 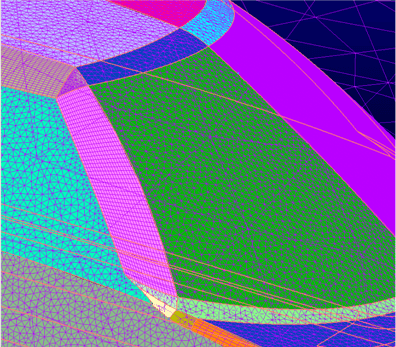 Students are taught the mechanics of using Pointwise, and best practices in grid generation. Students took varied approaches to resolving key areas such as wheels, rear wake, and body surface regions of strong curvature. A sample of their grids is displayed below in which a multi-element grid is used to efficiently resolve the expected gradients along the car surface (i.e., quadrilaterals used along curved pillars, and triangles along more flat regions). 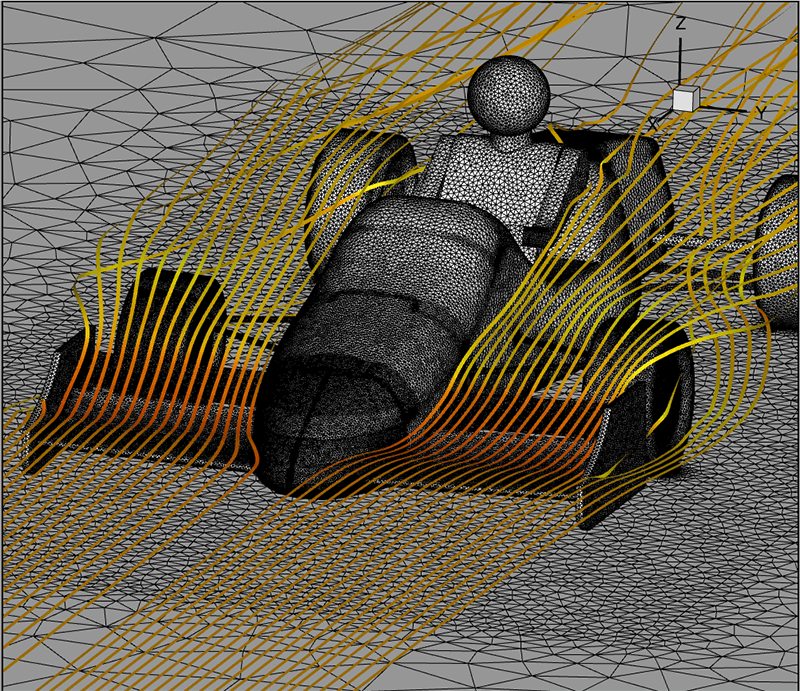 Figure 1: Sample of automobile surface grid for sports car. The students also were able to evaluate the aerodynamic effect of creative modifications to various automobile shapes. The student teams often chose to make pyramidal-tetrahedral grids due to the ease with which such grids are made in Pointwise for very complex geometries. For example, the student team of Chris Hogan, Tim Bentley, and Mona Nikrote were able to estimate the potential benefit of adding a front spoiler to the ERAU student formula to improve downforce for improved traction at high speed (Fig.2). Figure 2: Sample of formula car grid with new front spoiler. 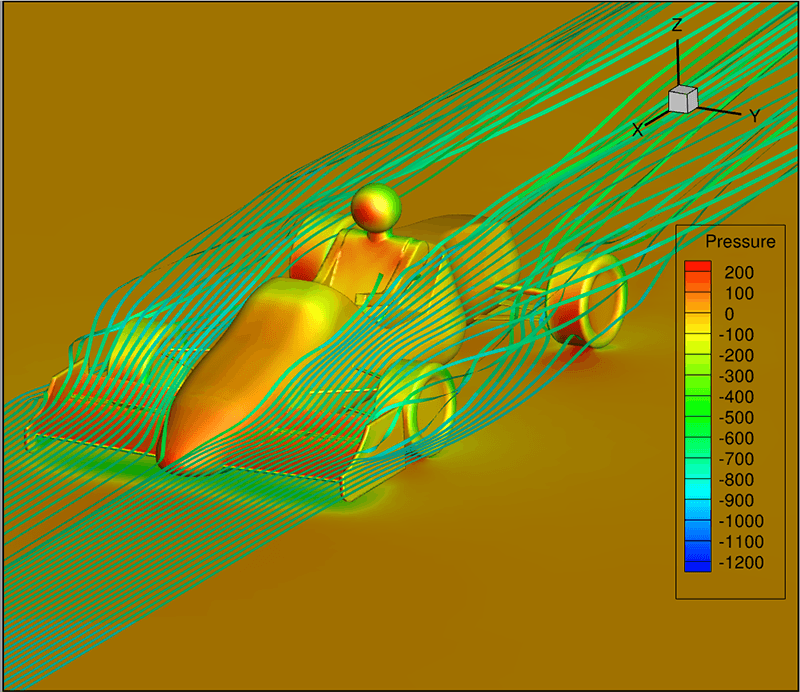 Figure 3: Sample of solution on Pointwise grid for the modified formula car. Another project in ME409 involves use of CFD simulation to evaluate the design of an internal cooling system for an engine block. The students constructed multi-element grids to resolve the turbulent heat flow along the cooling passage which bifurcates and passes along four cylinders, as shown. Thermal conditions are imposed along the inner wall of cooling passage to realistically represent the heat load posed by the engine cylinder. Figure 4: Sample multi-element grid used for engine block cooling evaluation (coolant jacket grid	on left, close-up near first cylinder on right). Without the availability of the Pointwise Teaching Partnership, it would not be cost-effective to provide the large and increasing number of undergraduate students interested in CFD at ERAU the opportunity to get acquainted with Pointwise and modern computational fluid dynamics. I feel it's important that ME and AE students gain proficiency with CFD methods, including Pointwise, so as to gain an edge in the competitive job market, and hope to continue participation in the PTP.